Pick a coconut that’s heavy for its size and makes a sloshing sound when shaken. To open it, find the three dark indentations, or “eyes,” on the bottom of the fruit and press each with the tip of a wine key until you find the softest one. Screw the wine key into the eye and then remove it, creating a hole. Drain the water into a cup, then taste it. It should be lightly sweet; if it’s sour at all, the fruit is past its prime. 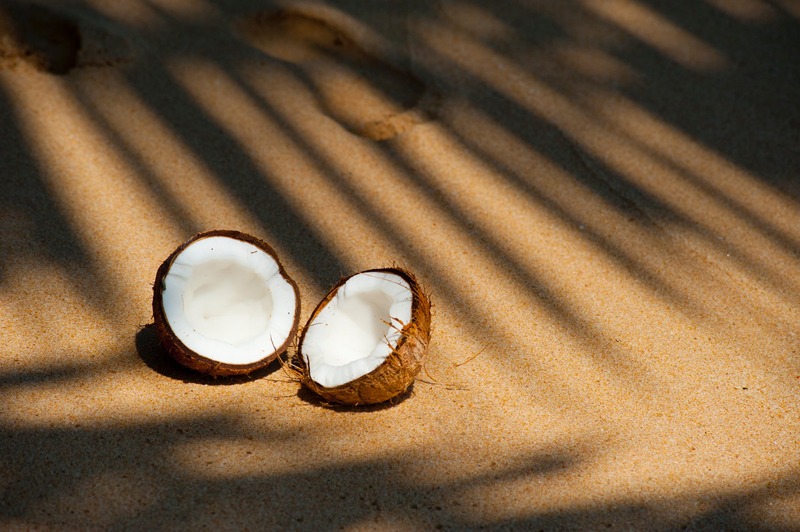 Place the coconut on a bed of towels and strike near its equator with a hammer or mallet, turning the coconut slowly with your other hand. After the shell cracks, place the halves facedown, then use the hammer to tap around each shell until the white meat separates from it. Remove the thin brown skin on the meat with a vegetable peeler. Shred or cube the meat. Or use the peeler to make chips for our delicious Coconut-Cashew Granola with Mango and Pistachios. How Bad for You Are Fried Foods?